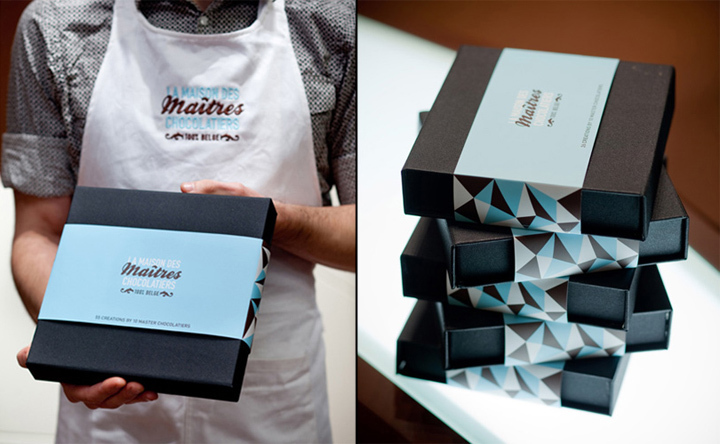 Creative agency Minale Design Strategy has headed the concept and interior design of Belgium-based shop, ‘Maison des Maîtres Chocolatiers Belges’. 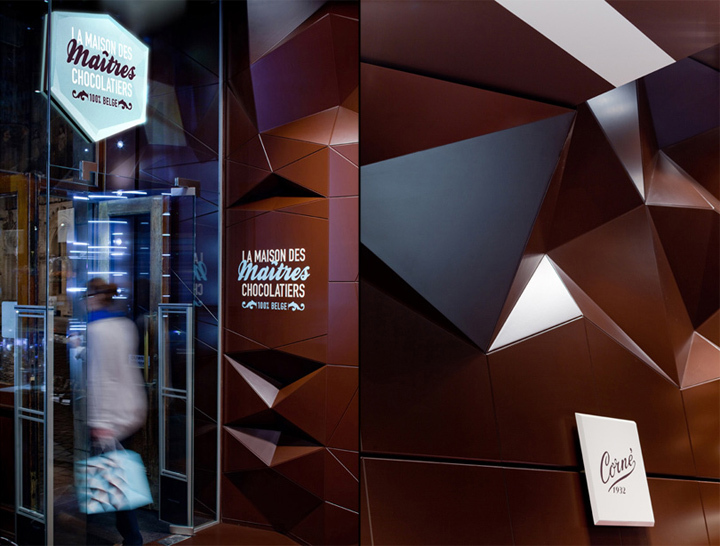 Naturally drawing from the qualities of chocolate, the project aims to create a dynamic shopping environment with a bold and graphic wall treatment. 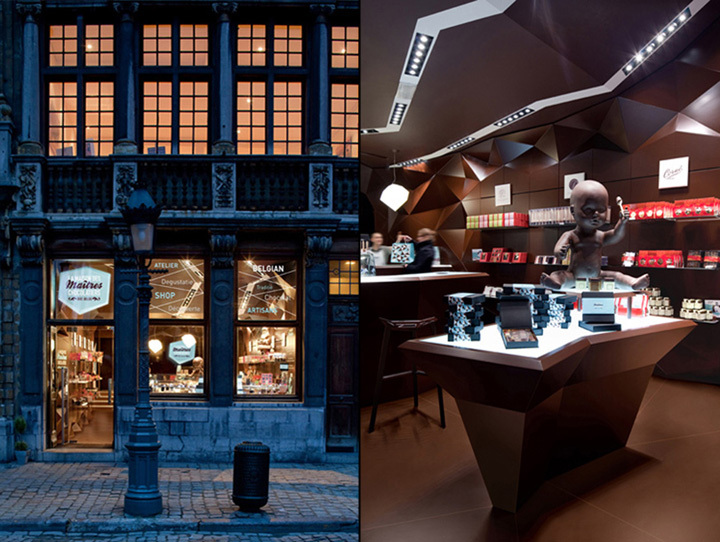 In a singular manner, the floor, walls, and ceiling are treated in a chocolate colour which can be clearly observed from the street. 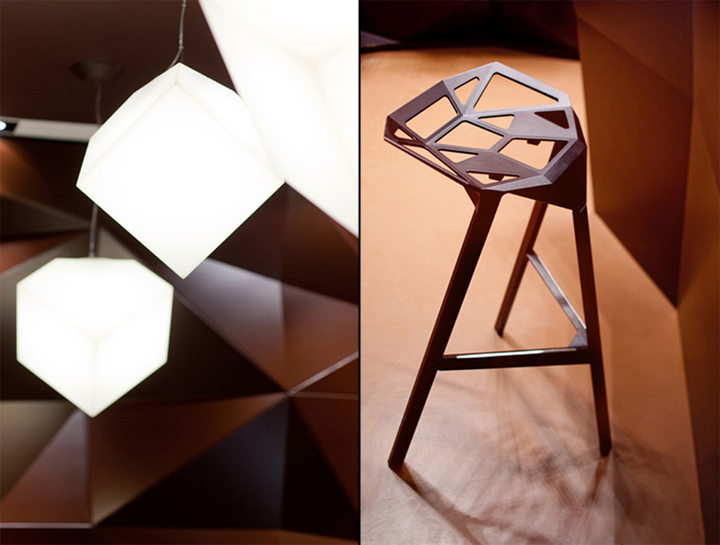 The edges and corners of the room are pulled out in a three dimensional, multifaceted surface that reflect light at different angles. 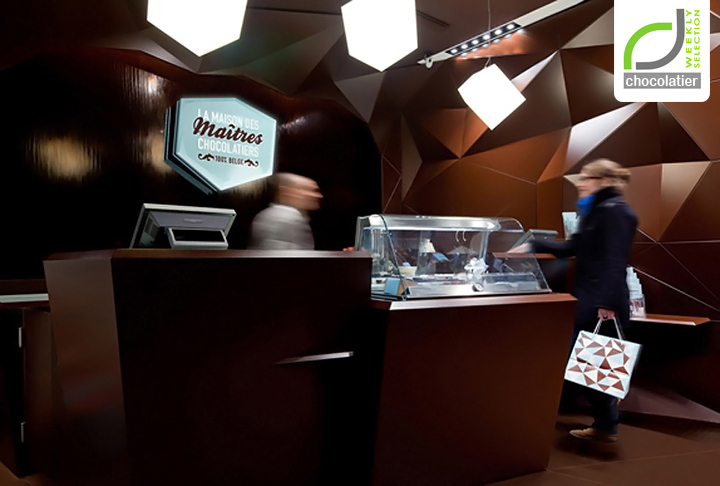 The gem-like effect was intended to suggest a chocolate quarry out of which the shop was hewn. 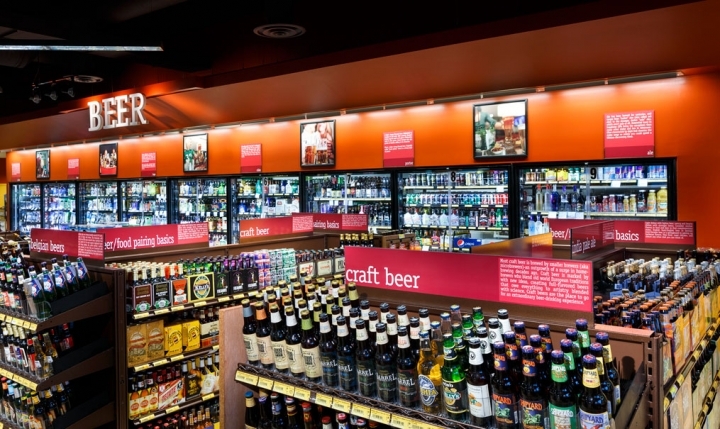 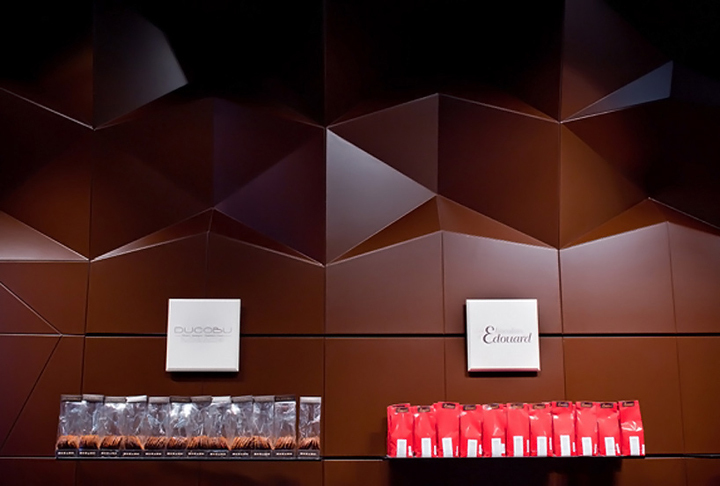 Much like a scored chocolate bar, the walls feature well-defined grooves for display shelves made out of glass. 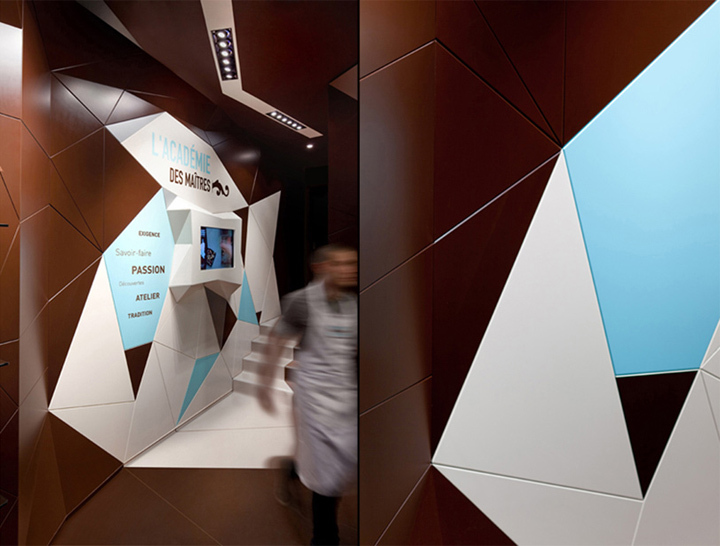 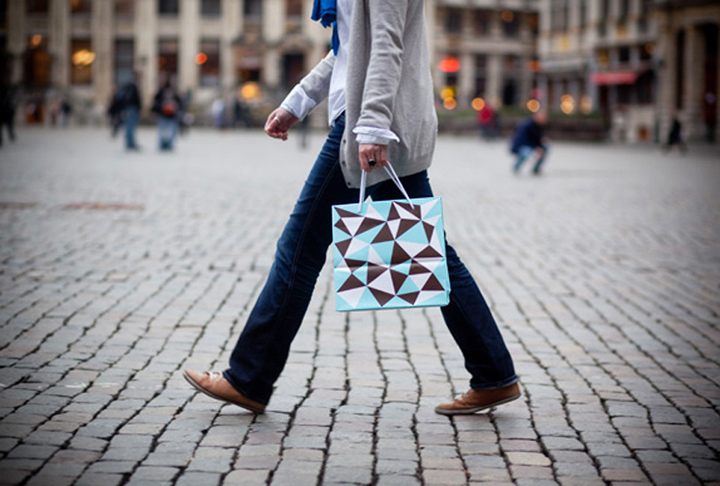 Near the counter at the back of the store, the ‘white chocolate’ element is introduced with triangular tile work which also marks the stairs leading upstairs to the chocolate atelier. 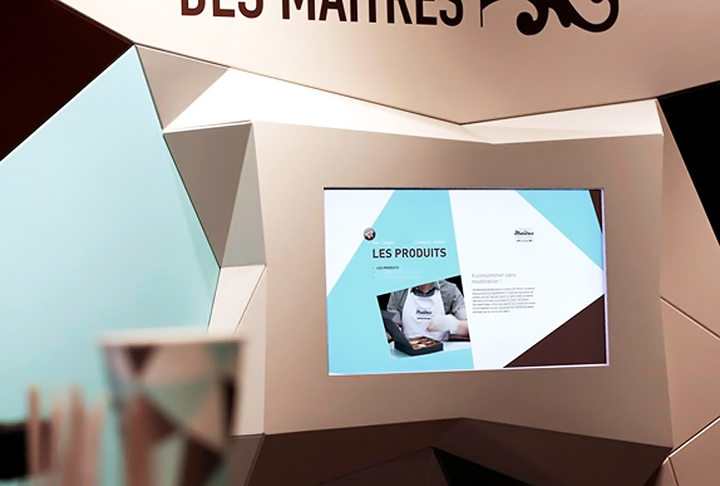 A place for the Académie du Chocolate to meet or host demonstrations, a clear distinction of space is made between retail and studio. 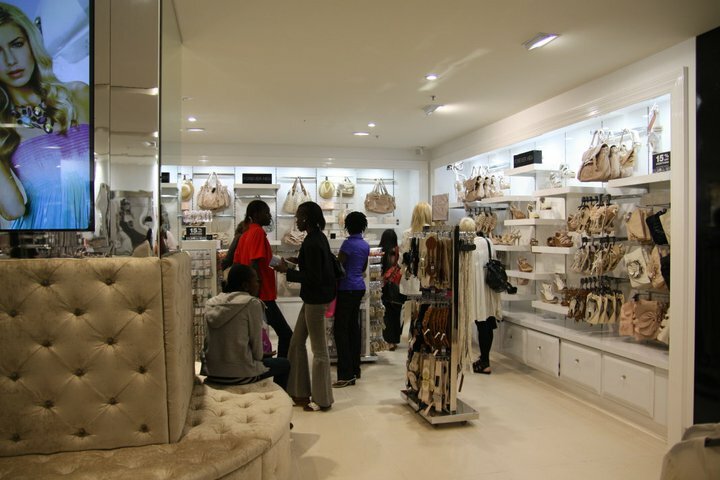 The architecture of the boutique is translated to all communication tools including the store’s website, packaging and shopping bags, clearly establishing an distinct identity.